Learn How To Make Dahi Ke Kabab | Yogurt Kebab | Dahi Kebab recipe with a video tutorial. 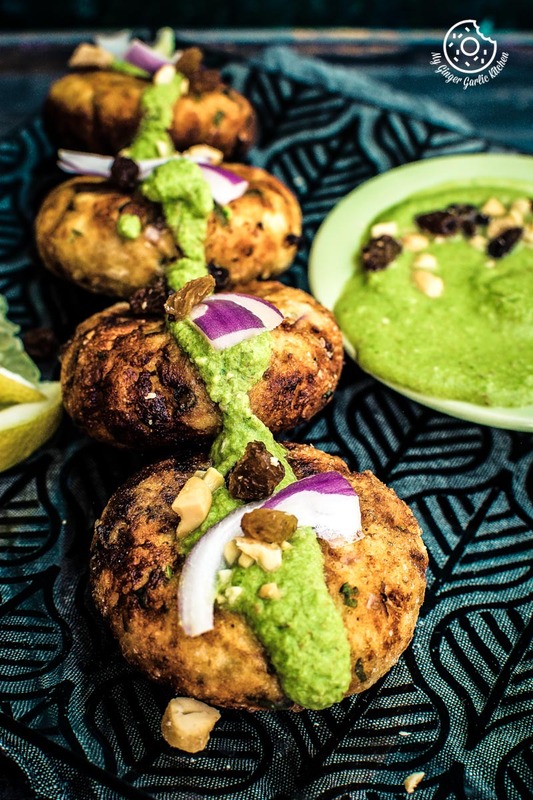 Dahi Kebab is a very unusual Indian appetizer, starter or snack recipe. These kebabs are made using hung curd, which is basically the strained thick yogurt, or strained Greek yogurt. Making them is effortless and quick. It was supposed to be a bright morning, well at least that’s what I was supposing. However, the climate chose to turn to dark, cold and gray. Yogurt (Dahi) Kebab for real? 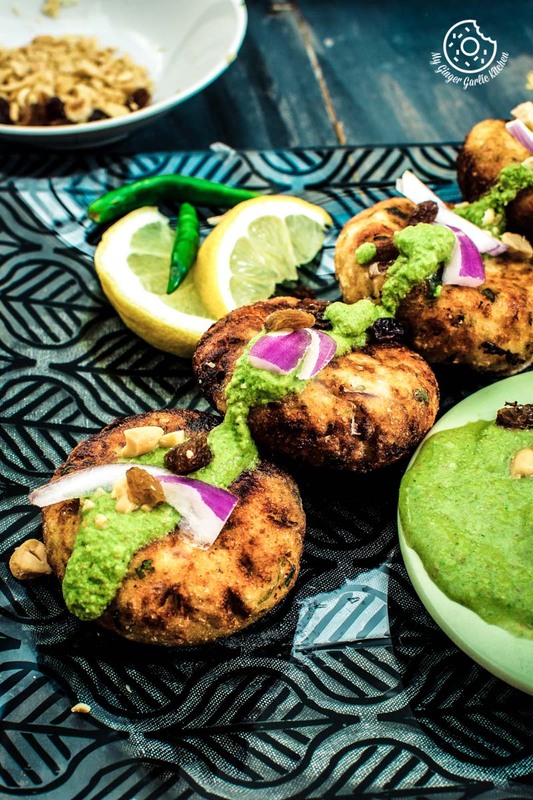 Have you heard about these Kababs? 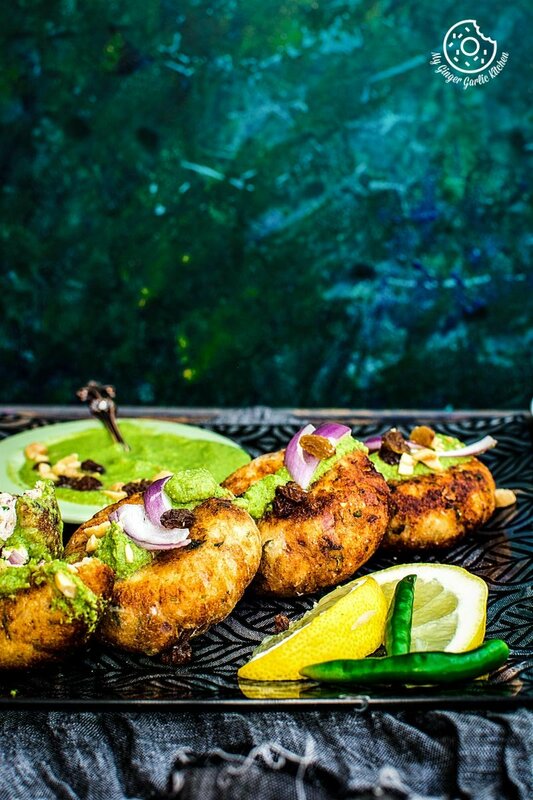 If yes, then you know how rich and dreamy these kebabs are. Correct? But if you haven’t heard about these, then I also know how you feel. Because I had the same kind of feeling when I first ate these kebabs in a restaurant in India many years ago. When I read ‘Dahi Ke Kabab’ on the menu card, I was so intrigued. So many arbitrary questions took me over. How is it possible to make kebabs with yogurt? How would they hold the shape? How would a savory kebab taste which has yogurt as the main ingredient? And to find out about all these how’s I had to order these kababs. So, I did that. And when these Kebabs came to our table they looked as delicious as any other kabab. As soon as I had my first bite, I discovered that these were rich, creamy, and velvety. The blend of thick strained yogurt and spices were a match made in heaven. Spices did not dilute the native succulent taste of yogurt. 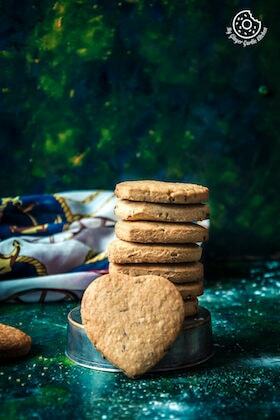 They were crisp on the outside and super soft, creamy and velvety from inside. And the wonderful crunchy texture of onions and nuts gave a great contrast to these. 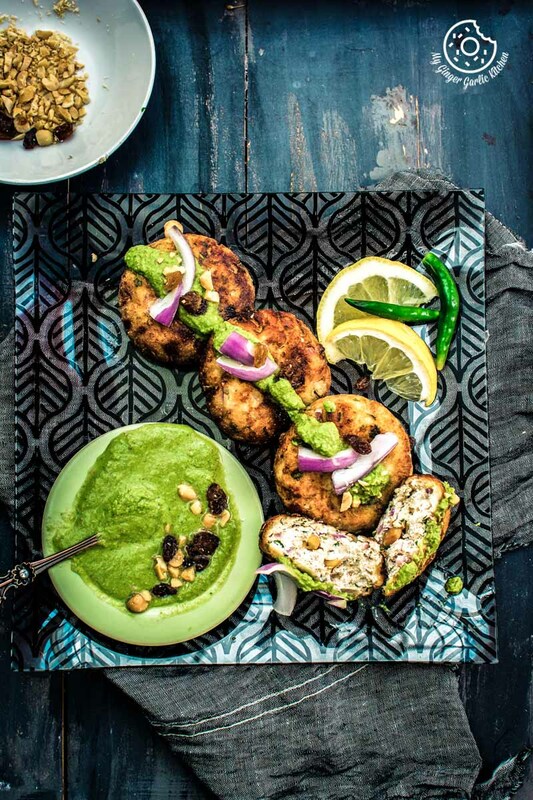 Dahi Ke kebab or kabab is a unique Indian appetizer, starter or snack recipe. These kebabs are made using hung curd, which is basically the strained thick yogurt, or strained Greek yogurt. Making them is super easy and quick. So, as I stated, these really delicate and delish vegetarian kebabs were made from hung curd. Here’s how to make hung curd. 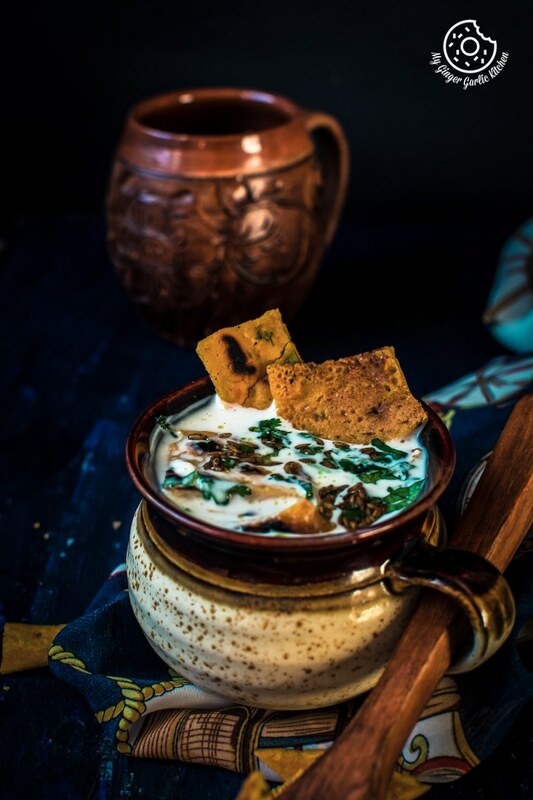 The Greek yogurt or any other thick yogurt is hung for about 8 hours and as a result, you get really thick yogurt which is almost similar to paneer (Indian cottage cheese). But it tastes a lot different than paneer or any other cheese. 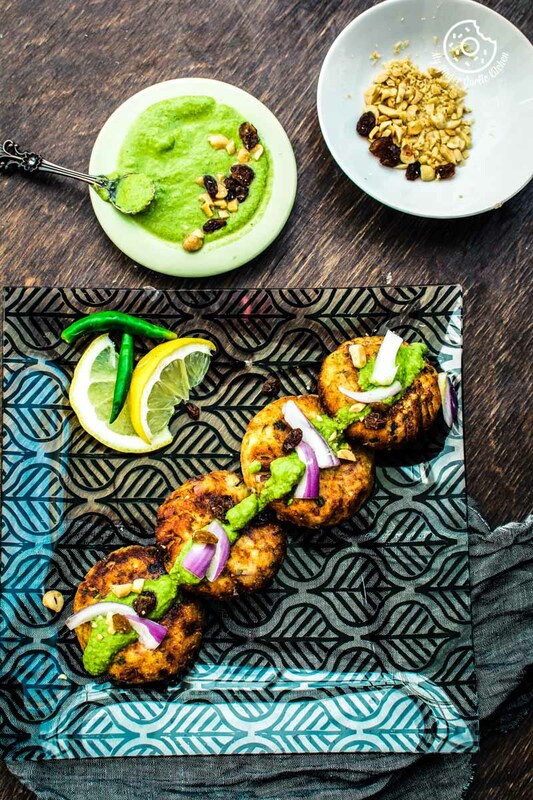 Make these rich, creamy, melt-in-mouth kebabs for your parties and get-togethers. Let your guests do the work of guessing the main ingredient in this. And I am sure, yogurt would be the last thing they would guess. But one thing is sure that these velvety charms would surely steal the show. Can I bake Dahi Kabab? Yes, you can. I have shallow fried these kebabs, but if you don't prefer frying then simply bake them in the oven at 175°C for 18-20 minutes or until they are crisp. They would still taste fantastic. 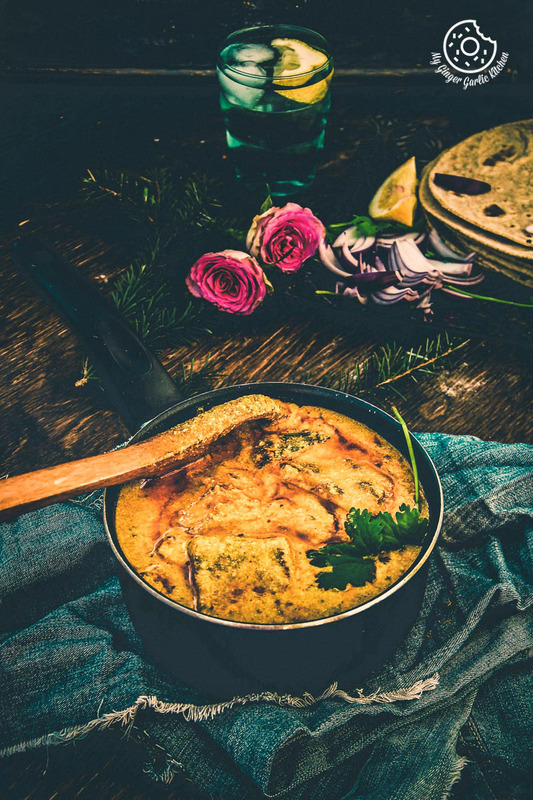 This unique starter is served best with some green chutney, onions, and lemons. 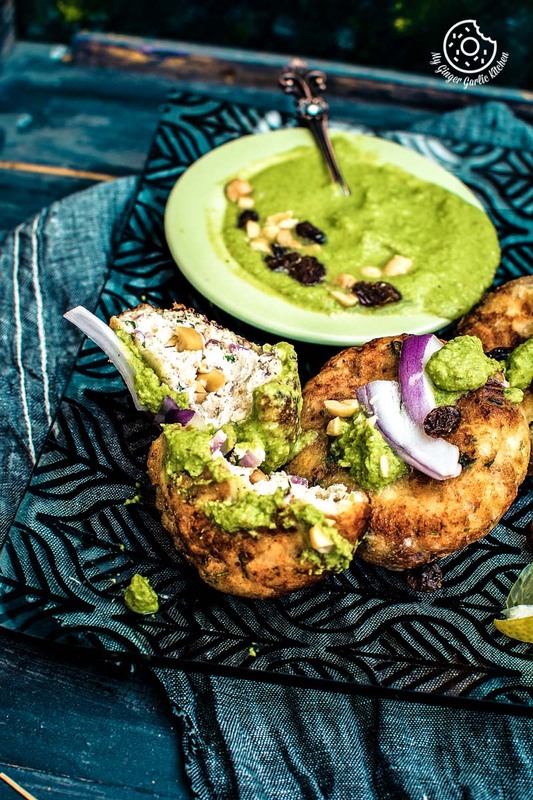 So let’s learn how to make classic Mughali Dahi Ke Kebab in this video recipe I have shared today. 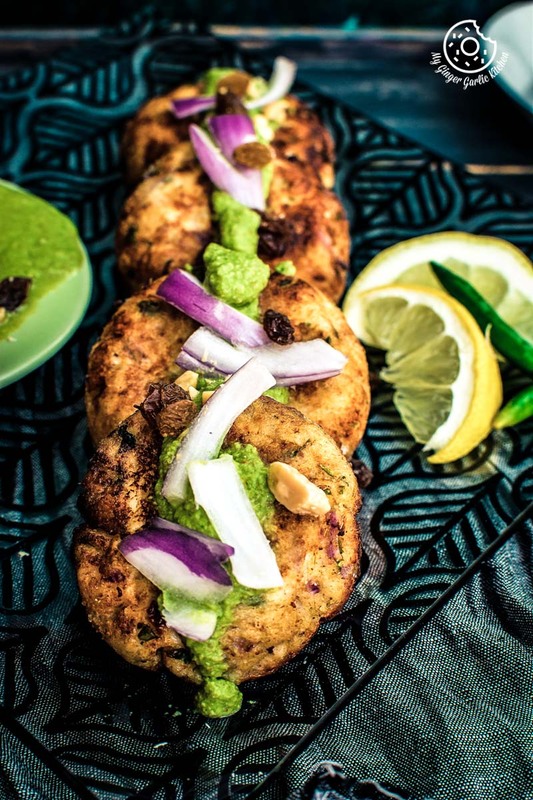 Yogurt Kebab | Dahi Kebab is a very unusual Indian appetizer, starter or snack recipe. These kebabs are made using hung curd, which is basically the strained thick yogurt, or strained Greek yogurt. Making them is effortless and quick. 1. Add hung yogurt to a mixing bowl or plate. 2. Add chopped green chilies, chopped coriander, chopped onions, red chili powder, roasted cumin powder, ground cinnamon, salt, breadcrumbs, and garam masala powder. Mix well with the light hands. 3. If the dough is sticky, you can add more breadcrumbs, but do not over knead. 4. Take a lemon sized ball and roll it to make a ball. 5. If the dough sticks to your palms, then dampen or grease your hands and roll the balls. 6. Flatten it with fingers and add stuff with chopped roasted nuts and raisins. 7. Cover it by pressing the edges at center and shape into a kabab (patty). 8. Prepare the other kebabs in the same way. 9. Heat oil in a pan a shallow fry kabab on medium heat till they turn golden brown. 10. Remove and place onto an absorbent paper. 11. Serve hot with green chutney, onions and lemon wedges.